Pazuzu is the god of the south west wind that was known for bringing droughts and famine during dry seasons, and locusts during rainy season. 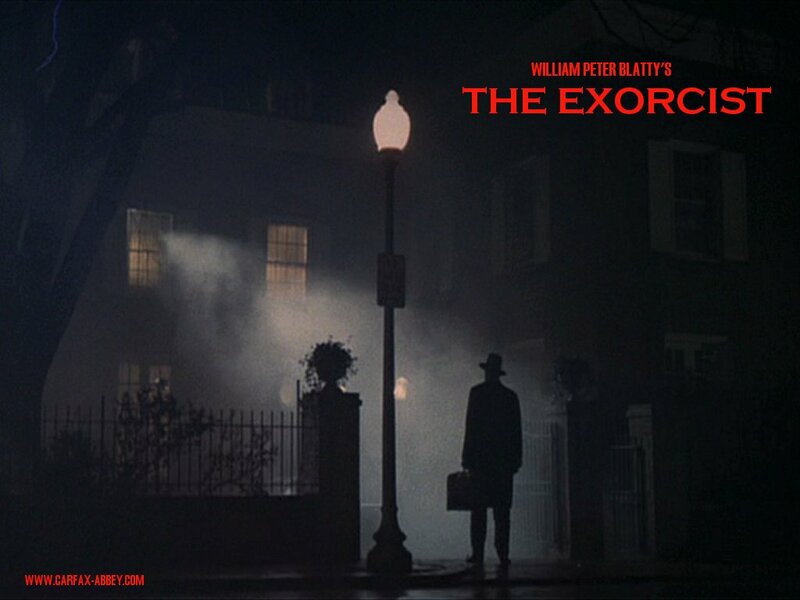 At the beginning of The Exorcist, when Father Merrin is at the site of an archeological dig in Northern Iraq, the figure that threatens him, seemingly an illusion - is Pazuzu, whom he had battled many years earlier. later in the same film, when he is appointed to perform the exorcism of Regan, he suspects that it is Pazuzu who possesses her. The sequel film, Exorcist 2 the heretic, and the 2004 prequel Exorcist The beginning also deal with Pazuzu. In his erudite book, The Domain of Devils, Eric Marple describes the wind demon as the most terrible of all demonic entities, having the power to spread loathsome diseases with his dry fiery breath. The demon has "for a head the almost fleshless skull of a dog representing death, disease, and as the fleshless death's head of the desert scavenger, starvation. Significantly, William Woods states in his History of the Devil: "… in Mesopotamia the horned demon, Pazuzu, rode on the wind and carried malaria… thus emphasising the demon's destructive role as "lord of fevers and plagues." Perhaps relating Pazuzu to the devouring dragon, Typhon, "angel of the fatal winds", equated with the disease Typhoid. Another representation of the wind demon can be traced in the Old Testament, where the devil is described as a hairy black creature; a haunter of the desert wastelands. The idea of the wind devil as a desert creature may derive from the Egyptian concept of Set, the destroyer, most ancient of the gods, who was represented as a strange, dog-like animal, not unlike that scavenging denizen of the desert, the jackal. Kenneth Grant has called this manifestation of Set, Shugal "the desert fox symbolic of Set, the male half of the Beast 666. the number of Shugal being 333. The "female" half of the Beast is Choronzon (333), another pestilential being - representing Chaos in all its latent or manifested aspects. Choronzon is said to have driven Aleister Crowley insane by his invocation of the entity in the North African desert. Representing the malaise of chaos and destruction Choronzon is probably one of the most complex symbols in western occultism. Interestingly, in relating Pazuzu to the concept of the Beast, we find his number is 107. Kenneth Grant states that this number is the number of the angel of Leo, OVAL, the messenger of the Beast. Oval literally means "egg", and therefore refers to the aeon of the "daughter", or the aeon of Set, which is still in embryonic form. In many of the world's ancient theologies, this final aeon is the era of destruction, when the messenger of the Beast, Pazuzu, delivers his word: the howl of pestilential desert wind. The ancients may have recognised this word as the dread "great dragon": ATEM, whose number is 440; it is also the number of "to annihilate": "cease", "disappear", and, significantly, "complete", which may refer to the ending of the cycle, as ATEM is also the goddess of periodicity, identical to the terrible Hindu goddess, Kali the destroyer. It is also interesting to note that 107+333=440. This formula may represent the ultimate blast of devastating wind from the mouth of the "great dragon", ATEM, the Beast of the Apocalypse. In relating these concepts to the ancient middle-eastern demon of the South-West Wind, we can understand why this symbol was regarded with such awe and terror. As the most ruthlessly destructive demon of the pantheon of nefarious beings, the wind devil represents the destruction of human life itself.